Logan Medina teaches 8th grade Science at Piedmont Middle School. 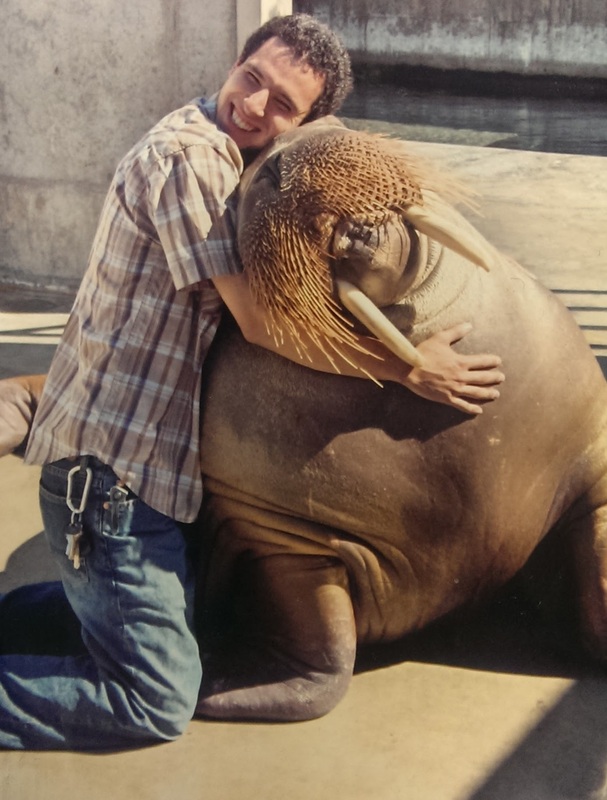 He studied Marine Biology at UC Santa Cruz and has been teaching middle school Science for seven years — in Half Moon Bay, Monterey, and for the last two years at PMS. He and the team of PMS Science teachers are implementing California’s new Science curriculum standards, and using innovative instructional technology to expand opportunities for students. They pride themselves on working as a team to develop engaging and effective teaching strategies, and helping students develop both scientific and critical thinking that has application in all aspects of life. What do students study in 8th grade Science? Before California adopted the new curriculum standards, 8th graders used to study physical science only, without investigating how it relates to the other sciences they study in 6th and 7th grade and in high school. The new curriculum standards change that by integrating the middle school Science curriculum. Now 8th graders study physical science integrated with astronomy, earth’s history, energy, waves, genetics, and evolution. This mix makes it possible to study and understand the connections. Also, the new standards emphasize the development of scientific thinking skills. Previously, the emphasis was on learning scientific facts. We have always taught with investigations, including labs, collection of data, and analysis, but now we incorporate engineering and model-building to develop scientific thinking. The addition of engineering is a big change, and we’re using various kinds of technology to implement this. What kind of technology do you use in class? We take full advantage of the Chromebooks. For example, in a lab this week, students used their Chromebooks to do research and collect data from online sources. They looked up and compared national oceanographic tide data with information about the phases of moon, looking for a correlation. Then they used their Chromebooks to create spreadsheets and graphs of the information. These are important skills, and the ability to use these tools is important for all students, not just in Science. We’re starting to use probeware for labs and investigations. These are sensors and measurement devices such as motion sensors, digital thermometers, calorimeters, PH sensors, and conductivity meters. We also have a weather probe that measures environmental conditions such as pressure, wind velocity, and humidity. These probes plug directly into the Chromebook, and data collected by the probe is automatically recorded in the Chromebook. This makes it possible for students to work with real, accurate data. They are doing real science and finding meaningful results. We’re also experimenting with tools such as Screencastify, that offer students an easy and fun way to develop and communicate ideas. This program lets students create a presentation with voiceover narration and then share it. How does this technology change labs and investigations? One example is that students use a motion sensor to measure the acceleration and deceleration of frictionless carts, to verify Newton’s laws of motion. Students add mass to the carts and measure the impact on velocity. Students set up collisions and measure how the motion of one cart impacts the other. The motion sensor captures accurate data, making it possible for students to actually verify Newton’s concepts. Some other examples are that students use the PH sensor to measure the acidity and fermentation of kimchi, and the digital thermometer to measure the temperature of burning marshmallows. The kids like the tech and take the time to learn how to use it. They are rising to the challenge and getting comfortable with the kinds of tech that are used in academic and professional settings. This is a real advantage for them. I learned to measure mass using the triple beam balance, but no one uses that any more. Some of the basic scientific tools have changed, and our students are getting experience with the new ones. I’d like to emphasize that technology is just one tool for teaching and learning. Also, some instructional technology is more useful than others. We are working as a department to make the best use of what technology has to offer and integrate it into our teaching. What skills do your students develop? Science education isn’t just about knowing facts, because in many cases you can look up facts when you need them. Science education is more about learning to think critically. It’s about the process of investigating a question, analyzing evidence, using evidence to support ideas and conclusions, and communicating those ideas and conclusions clearly. Students also learn to discern whether sources are reliable, and whether assertions are supported by facts and evidence. This will help them in any subject they want to study. What are some of your favorite lessons to teach? It’s hard to pick favorites. I really enjoy the light labs. Students measure angles of incidence and refraction of light, and it’s really cool to actually see how light bends when it travels through one material or another. Last year students had to figure out how to get the beam of a laser through a maze using mirrors, jello, and other materials that bend light in specific angles. This year, students will figure out how to build a laser security system like the ones used in museums, and bounce a laser beam around an object to keep it secure. I also really enjoyed the labs we did this year using the frictionless carts and motion sensor probe. The students’ work with the tech tools and data was fantastic. The Science department is also piloting technologies to improve classroom management. What are these? We’re using tools to make our classrooms more efficient and improve communication. We use Flubaroo so students get nearly instantaneous feedback on assignments along with a grading rubric. We use Google Classroom to distribute and accept lessons, which limits the use of paper and reduces waste. We use Google forms for formative assessments — quick tests to see if students understand the material so we can determine whether to move on to different subjects. All of this technology facilitates teaching and directly benefit students. The Piedmont Middle School Science department consists of Christy Blackie-Taylor, Ted Greenebaum, Dan Kessler, Logan Medina, and Camilla Thayer. Combined, they have 69 years of teaching experience.